We have decided to turn everything upside down. At Anagog, we believe it is time to think differently about our privacy. It is time to make our mobile phones work for us. And it’s time for consumers to own their own data. Too often we are disappointed when large corporations fail to fulfil their empty promises to keep our private information secure. Too often we see our privacy being cynically ignored while marketers turn our private data into their own profits. And yet, do we really have a choice on keep our data private? Can we really put our trust in these providers? What will be done with our private data once it is harvested from our mobile phones and sent into remote and unknown cloud servers? 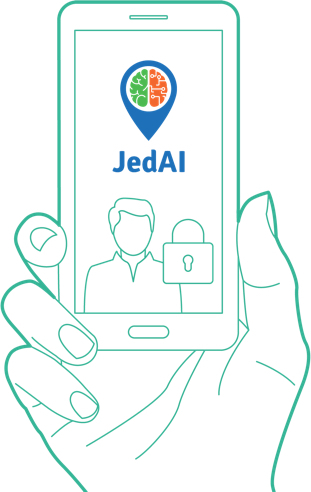 JedAI’s patented technology allows users to turn their mobile phones into smart artificial intelligence engines that use the phone’s on-device sensors to build personal and private profiles on their handsets, without the need to send any of their personal data to a remote server. It’s an industry first. The user’s precious private data remains in his or her possession and under the user’s own control. It is not stored anywhere else – not even at Anagog. 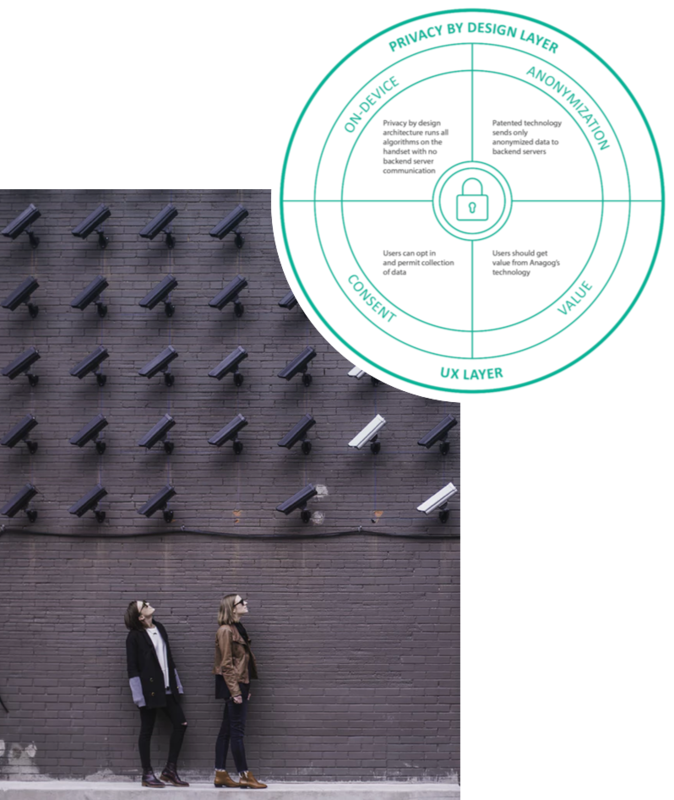 JedAI helps mobile handsets evolve into the user’s digital extension, one that can pull into the phone the relevant services at the right time and place, without ever surrendering the user’s private data and identity. With JedAI, Anagog introduced the only patented technology that enables a highly sophisticated artificial intelligence engine on a mobile phone with almost no impact on the phone’s battery and one that never needs to communicate with a remote server. This is called Edge-AI, and we believe it is the future of privacy. With JedAI, users are back in control. They may choose not to share their private data with anyone, but to still enjoy personal and contextual services based on their on-handset profiles. Or they might elect to share their data (or any part of it) with any service provider they choose in exchange for whatever real value that provider is offering. What’s more, JedAI puts users in full control of their private profiles. JedAI users can view their personal profiles at any time and edit them as they see fit. With JedAI, it’s your data and it’s your decision.